Martin Charter MBA FRSA, Founding Director of The Centre for Sustainable Design at the University for the Creative Arts (UCA) and current Professor of Innovation & Sustainability at UCA, looks at The Circular Economy and The Bathroom Industry’s Response. Martin is working with Methven UK on a consultancy basis. The circular economy aims to put processes, products and new business models in place to help contribute to a resource efficient economy but, in the absence of legislation, the bathroom industry has been slow to adopt its principles. Now, however, with the launch of BS 8001 – the first national standard on implementing Circular Economy (CE) principles – there is no option for bathroom manufacturers other than to get involved. Developed by the British Standards Institution (BSI), the BS 8001 is a guidance standard which will help companies integrate and introduce CE into their business, enabling them to take practical action to realise business benefits and help protect the environment. It is hoped that the standard will become the basis of an international standard so that its benefits of CE can be felt worldwide and there has already been international interest in the standard, with US-based paper goods giant Kimberly-Clark and two Singapore-based firms among those participating in the piloting and engagement work. The Dutch and Swedish standards bodies meanwhile – who are usually at the forefront of environmental policy – are also taking a keen interest. The standard has been developed with businesses at its heart, with many of the clauses being piloted by organisations such as M&S as part of the process. 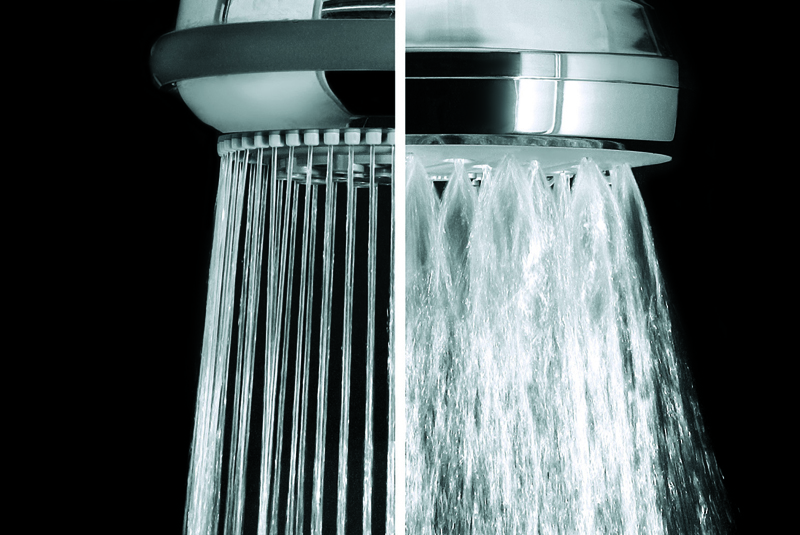 From the bathroom industry’s perspective, shower manufacturer Methven was also one of the pilot organisations and helped test the content and structure of BS 8001’s clauses through a series of pilot sessions – specifically clause 4 on the principles of the circular economy and clause 5 on putting them into practice. Methven looked at the issue of wastage in the social housing and hotel industry, where best practice and legionella policies recommend that shower handsets and hoses be replaced annually. It is piloting a cleaning and replacement scheme with a number of housing associations to tackle this issue, which has reduced waste, reduced cost by 42% and ensured compliance with legionella regulations. But how can the bathroom industry en masse utilise BS 8001? For the bathroom products industry, opportunities to consider include moving from selling to leasing models through take-back of products to enable, for example, refurbishment and remanufacturing, and looking to create products that are more circular by being designed to be upgradable through modular design. The design phase is vital as it is where 80% of the environmental impact comes into consideration, and the industry needs to be looking to design with repair, maintenance, remanufacture and upgrading in mind, as well as looking at how individual parts could be harvested. The biggest environmental impact from the bathroom products industry is – and will continue to be – water and energy consumption, rather than the materials themselves. In future, the ErP Directive – which aims to help the EU achieve its goal of reducing energy usage by 20% by 2020 – will start to increase in prominence and its scope will cover showers and taps, which will again require manufacturers to adopt standards in development to allow upgrade, repair and re-use of energy related products. Water scarcity is another issue that is unlikely to go away any time soon, with the effects of the droughts caused by this summer’s heatwave still being felt in some areas. And, as the price of water increases, regulation is tightened and water metering expands across the UK, it will be become even more of a driver for both consumers and bathroom manufacturers alike. All of these issues feed into CE and the need for extremely careful product design. But, aside from the energy and water efficiencies, one of the biggest challenges for the bathroom industry is product circularity. While a full bathroom replacement is not a regular occurrence in many homes, there are a number of products and components than can be, and are, replaced more regularly – such as showers, hoses and taps – and currently these are largely disposed of. So what the bathroom industry needs to tackle are the business opportunities around repair, refurbishment and materials recycling. And, in the most part, this goes back to the original design, manufacturing and reverse logistics processes, as well as straightforward protocols and services that allow for, for example, repair and recycling to take place without placing extra burden on the industry. From a manufacturing point of view, the need to find solutions to this issue may well be driven by supply chain pressures as component and materials suppliers come under their own pressures but there can be no doubt that CE thinking is moving forwards rapidly and it will become increasingly difficult for industry to ignore it.